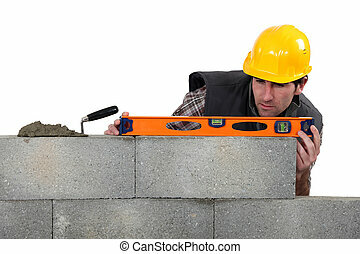 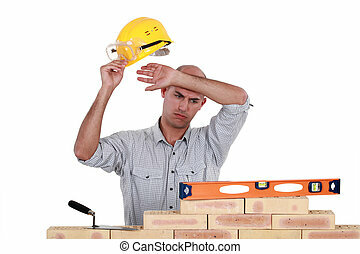 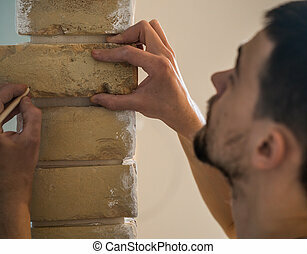 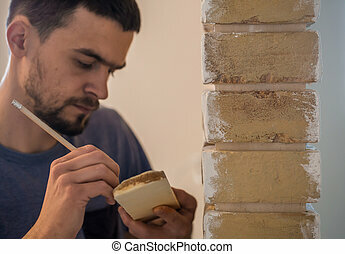 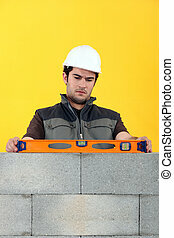 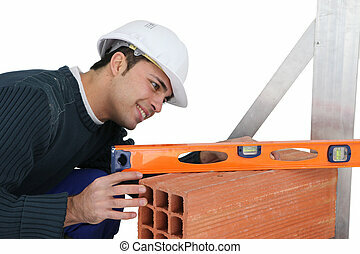 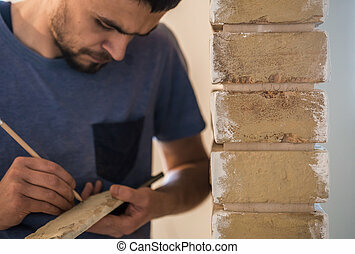 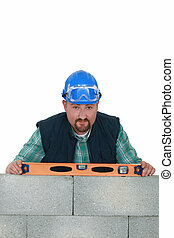 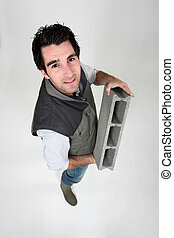 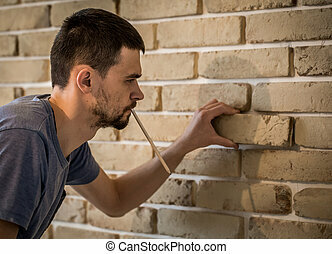 Bricklayer with a spirit level. 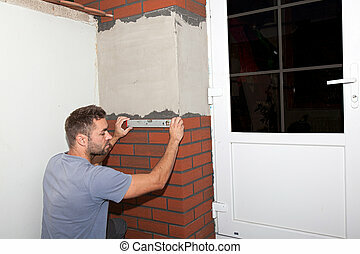 Reconstruction of the house. 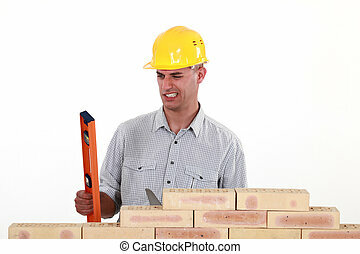 Worker stuck brick cladding (imitation brick) on the outside facade. 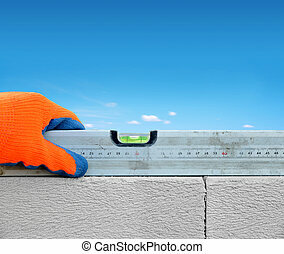 Plane measured with a bubble level. 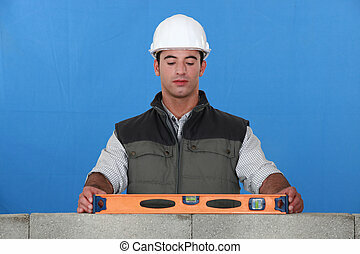 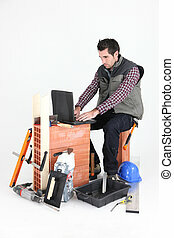 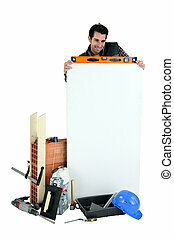 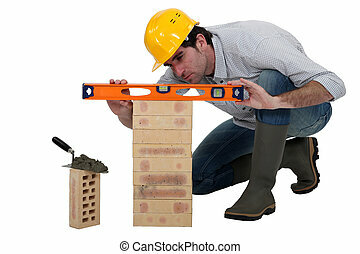 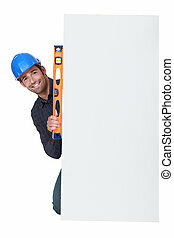 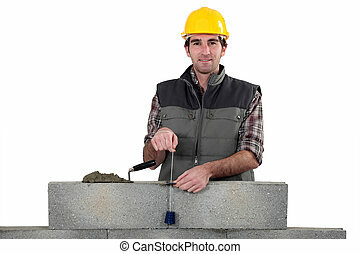 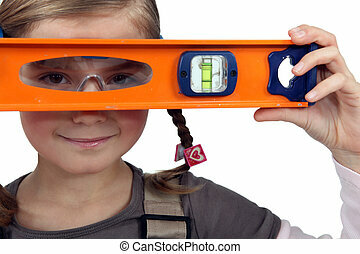 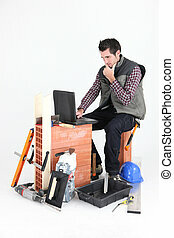 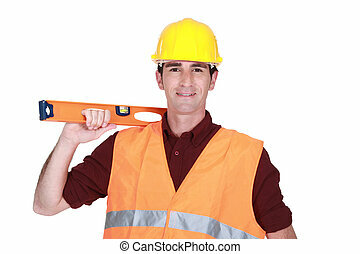 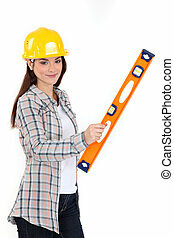 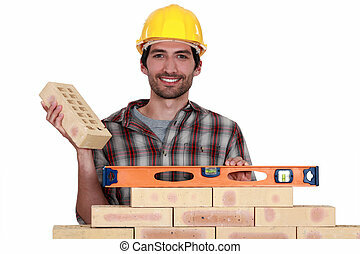 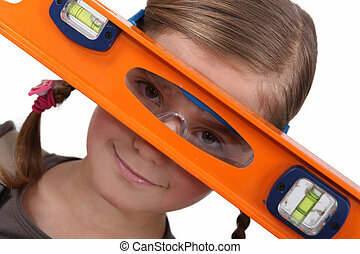 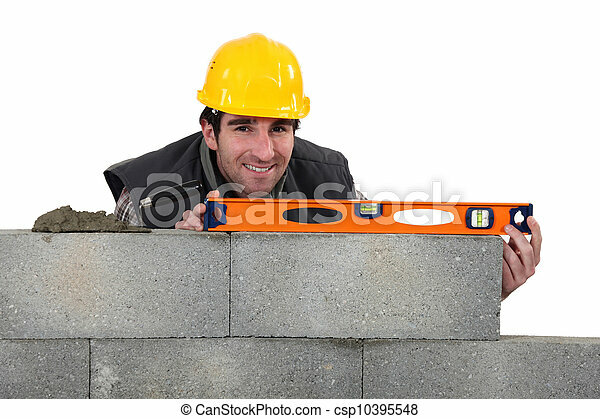 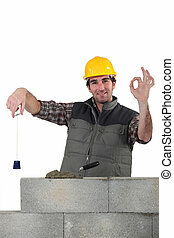 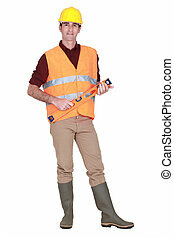 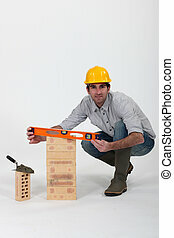 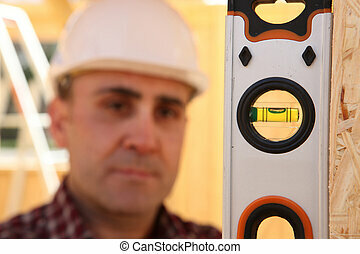 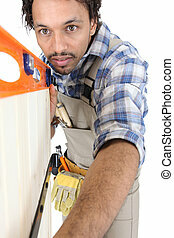 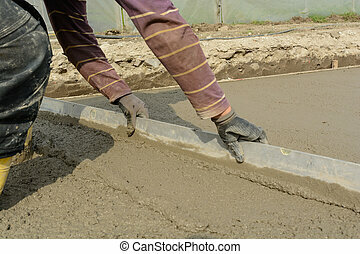 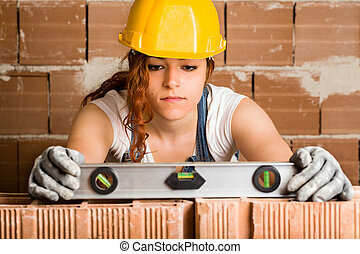 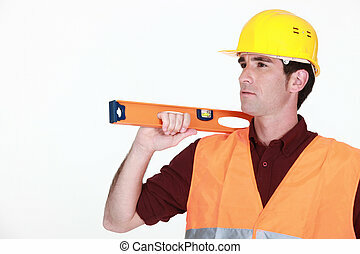 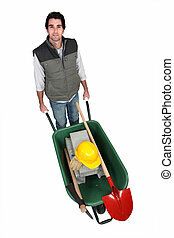 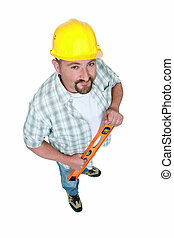 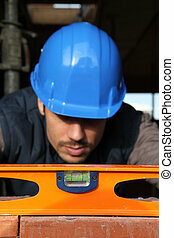 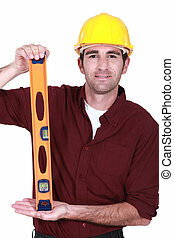 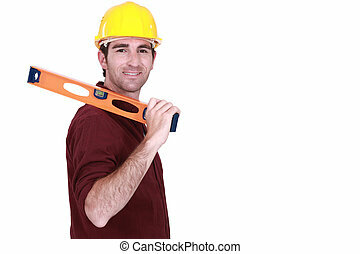 A construction worker with a level.